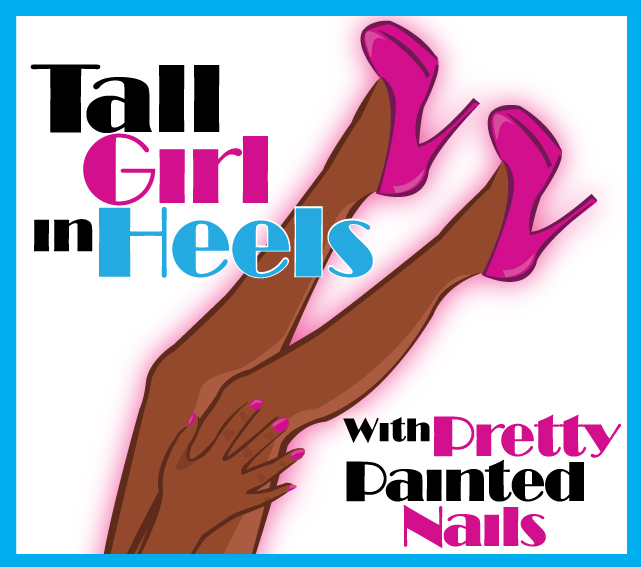 I would just like to give a big Thanks to Tamala at Tall Girl In Heels for allowing me to do a guest blog for her. I very much appreciate this! 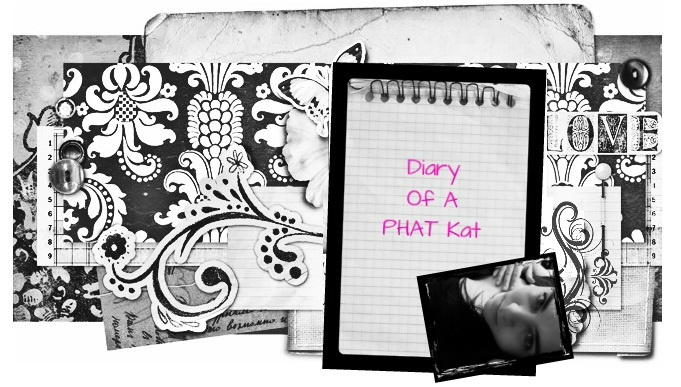 My name is Kat, or as my followers know me, PHAT Kat. I have been doing my nails since I was about 5 years old when I got my first nail polish which was a peel off! Since then I have experimented and loved doing nails. 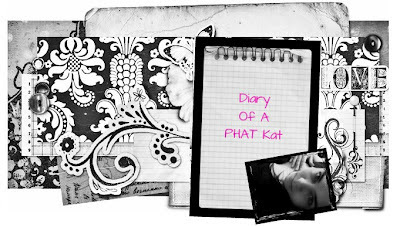 I started my beauty blog Diary Of A PHAT Kat this past January. After receiving a lot of encouragement from readers, I decided to stick with it and am now posting regularily on my blog as well I am now a beauty writer for www.dailyglow.com (you can find links to my articles on my blog). 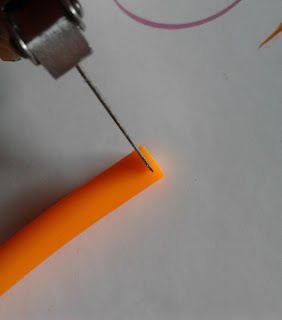 I would like to share with you a tutorial for Fruit Salad Nails that uses a product called Fimo Canes. 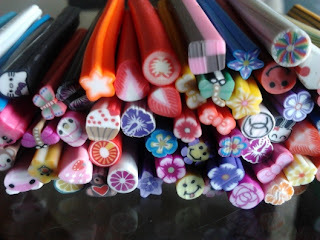 Fimo Canes are polymer clay that have been molded into designs like butterflies, fruit, animals, shapes etc. They come in 5cm long sticks and can be sliced very thinly with a razor which are then applied to the nail to create detailed nail art. They can also be applied to picture frames, cell phones and other items or used in crafts. I purchased mine off of eBay for $5 CDN!!! I selected a few fruit canes: watermelon, lime, lemon, oranges, strawberry, apple and kiwi. 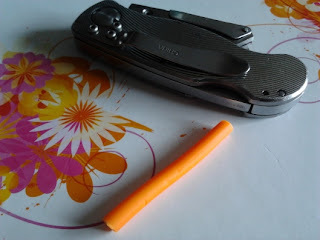 My Husband lent my his utility knife so I used that to thinly slice the canes. I have to emphasize the word thinly because if you cut them too thick, they are harder to stick and will also be raised quite a bit on the nail. In the picture above, the slice is too thick. It needs to be about half that size. It is tricky to slice it at first but you get the hang of it quite fast! I made sure to buffer each nail so that were no rough edges, for better adhesive. I applied a bottom coat and let dry. I then applied a drop of top coat to the spot on my nail where I wanted to apply the cane slice. 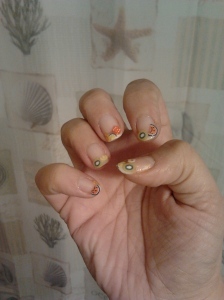 I did this every time until my nails were complete. 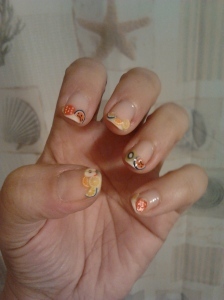 I finished with a top coat over the entire nail and that was all it took to achieve these Fruit Salad Nails. These took about 1 hour, including drying time. 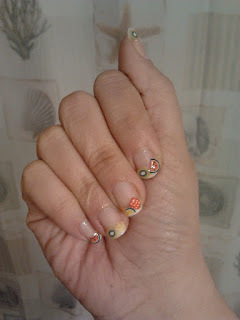 I didn’t stick to a pattern with the cane slices and placed different designs on each nail. Thank you so much for reading my tutorial and thanks again to Tall Girl In Heels!!! Kat Thank you so much for participating in Takeover Thursday. Your post was great. Guys be sure to follow Kat on her blog and social media. Awesome!!!! I've been wondering how to properly use these sticks since I saw them last month! Thank you Kat and Tamala!